The following was released by the Office of Government Information Services (OGIS) on July 27, 2016. 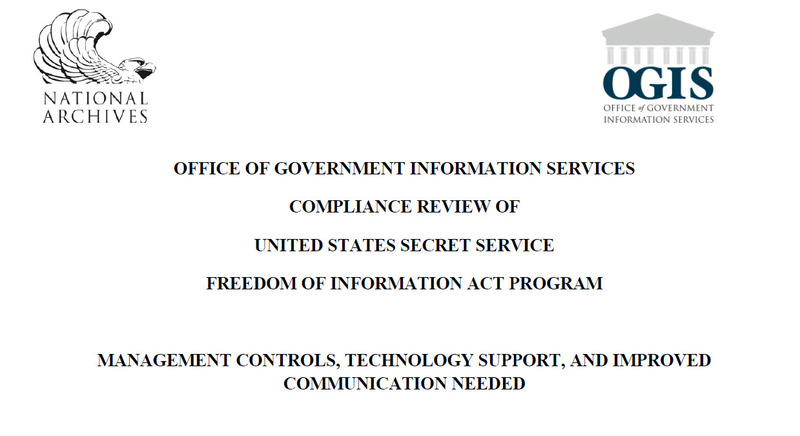 USSS’s FOIA Program is centralized; program offices search for responsive records and the FOIA office processes them and responds to the requester. USSS accepts requests by mail, email, online using the DHS online submission form, or through the DHS FOIA app by mobile phone. 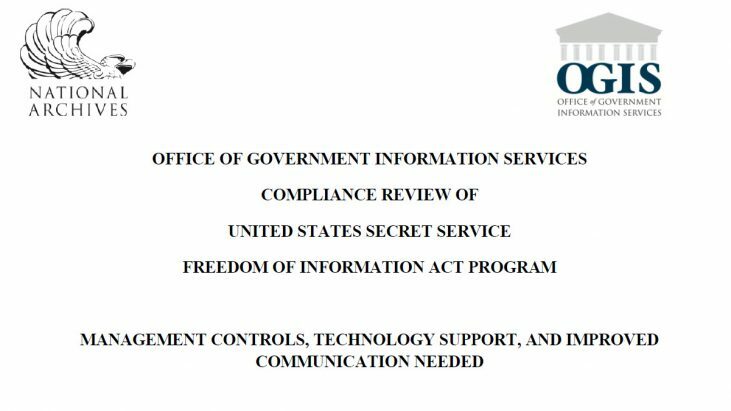 Between Fiscal Year (FY) 2009 and FY 2015, the USSS FOIA Program received an average of almost 1,300 requests per year, ranging from a low of 897 in FY 2011 to a high of 1,595 in FY 2012. From FY 2009 to FY 2015, the backlog at USSS increased by almost 86 percent from 426 requests to 791 requests. During the same period, the number of requests USSS received rose by about 52 percent and the number of requests processed grew by about 29 percent. USSS’s FOIA staff also grew by almost 38 percent between FY 2009 and FY 2015. Regularly communicate with requesters about the status of requests, particularly regarding the oldest cases. We will follow up with USSS in 120 days to learn what actions it has taken to address our findings and recommendations.